How Long Will a File’s Copy Remain in File History After It Is Deleted From Windows 10? 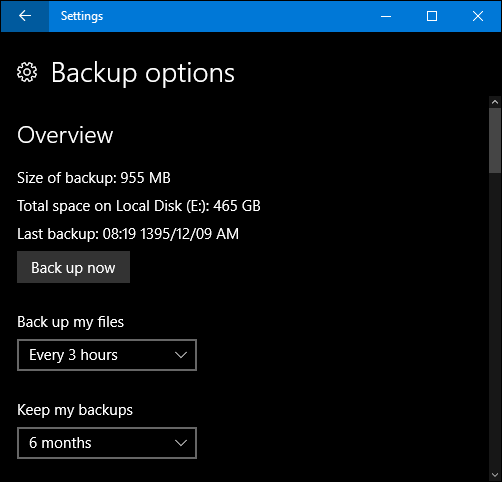 If you have decided to make use of Windows 10’s file history capabilities, how long will a saved copy of a file remain in the backup folder if you decide to delete the original? 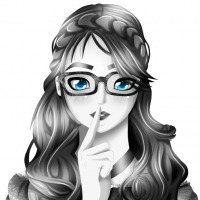 Today’s SuperUser Q&A post has the answer to a curious reader’s question. 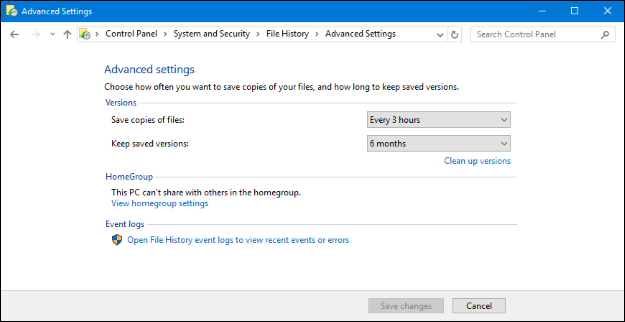 When using File History in Windows 10 and deleting a file from your computer, how long will the saved copy remain in the backup folder? How long will a saved copy of a file remain in file history after the original one is deleted from Windows 10? It remains for as as long as you specify. As of Windows 10 (release version 1607), there are two places in which you can specify this. Also, you can clean up old versions to make space using the Control Panel.